Vitamins & MineralsOlimp Magnesan B6 - 50 tabl. Olimp Magnesan B6 - 50 tabl. 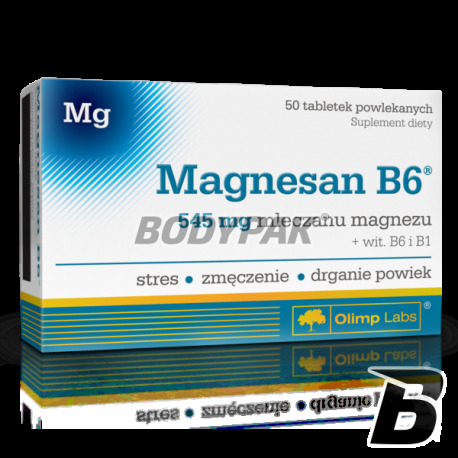 Magnesan B6® to suplement diety, który uzupełnia dietę w magnez, witaminę B6 i B1. 11 loyalty points Your cart will total 11 points that can be converted into a voucher of 0,44 PLN. 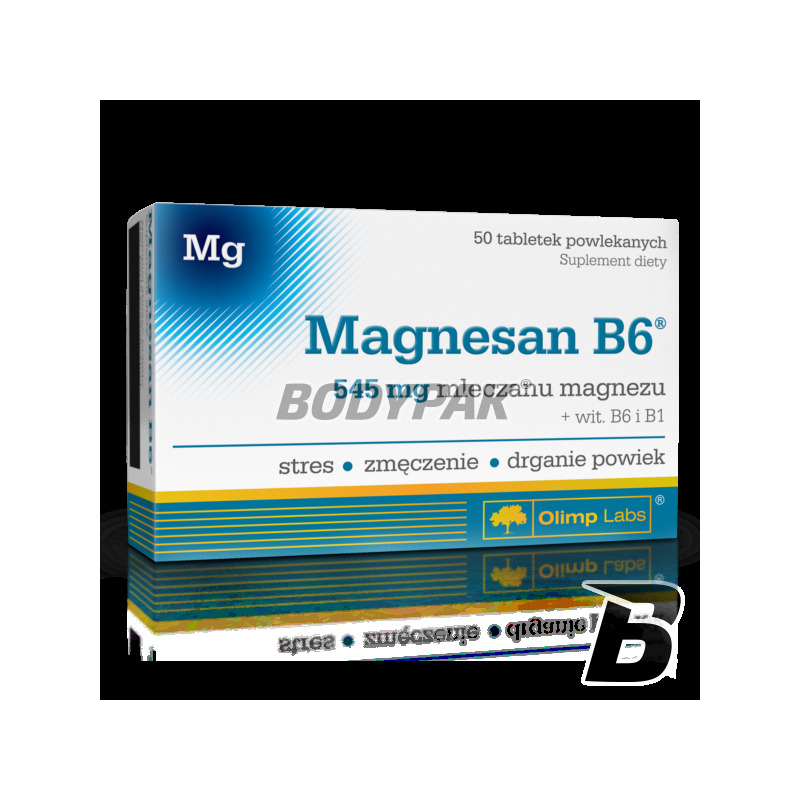 Magnesan B6® is a dietary supplement that supplements the diet with magnesium, vitamin B6 and B1. Magnesium is an extremely valuable mineral, which, among others, It helps to correct the nervous system, muscles and contributes to reducing fatigue. Just as vitamins B6 and B1 (thiamine) participates in maintaining normal energy metabolism, which is why these components play an important role in energy production. Vitamin B6 also helps in the proper production of red blood cells and in the proper functioning of the immune system. To ensure delivery of the right amount of magnesium every day, the source of magnesium magnet B6® is well absorbed by our body magnesium lactate - organic form. Całkiem dobry suplement diety, polecam szczególnie osobom, które mają problemy z nadmiernym zmęczeniem.